An animation film is one the major elements of the content created for the World’s Largest Lesson. It was developed through an innovative collaboration between Oscar winning animators Aardman and creative educator Ken Robinson, who recently spoke to the Huffington Post about the Lesson. The film has been a great success; it has been used in 160 countries! The film we created is now just one of so many about the World’s Largest Lesson. The variety of films that have been made about the initiative across the world is amazing and here we share a few highlights. Happy viewing! The Jamaican Ministry of Education developed an advert to create awareness about the project across the country. 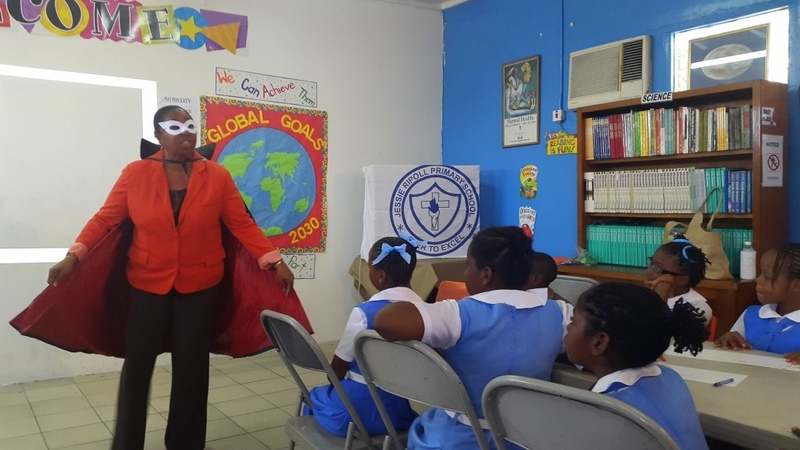 It places the Global Goals in the context of Jamaica’s most pressing problems, all set to a superhero-worthy soundtrack, and was broadcast on local television: definitely worth a watch, here. 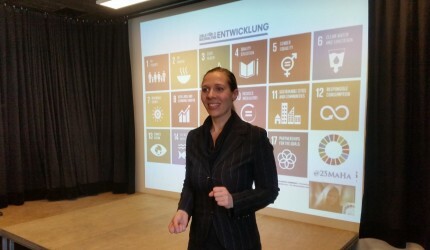 Individual students, classes and whole schools have written heartwarming and humorous songs about the Goals. We were invited to pan across a School Hall in Brunei where the lesson is taking place to the tune of Michael Jackson’s Heal the World and to sit in the pews of St. Stithian’s school chapel in South Africa and hear as a choir of students sings their original composition on the Global Goals. 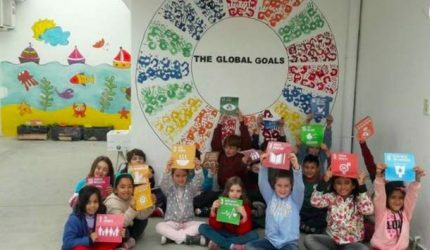 Torriano Junior school, London chose an aerial view as their students practice some excellent teamwork to make the shape of each Goal, whilst students at R.E.T.N.S in Ireland cartwheel across screen to their own Global Goals version of a Flo Rida tune. Over in Buenos Aires, Escuela Técnica 12 took us on a tour of their neighbourhood as they collected rubbish with which they then constructed life-size Global Goals superheroes! Thanks to teachers and ministries sharing their footage, we’ve been given a window into what The World’s Largest Lesson looks like in classrooms around the world. Did you ask your students: “What are the biggest problems facing the world?” How did their answers compare to what peers in Ecuador answered in front of their class, when their teacher asked the very same question in Spanish? Olga Campoverde has shared her lesson, so you can find out here. And in Somaliland? Students at Fatuma Biihi Primary told us they thought it was caring for the environment. Find out what students said in Dubai, Argentina, Jamaica, Thailand and Perú. Were students in Georgia as absorbed by the World’s Largest Lesson animation as your students? Lili Koridze’s class certainly were. 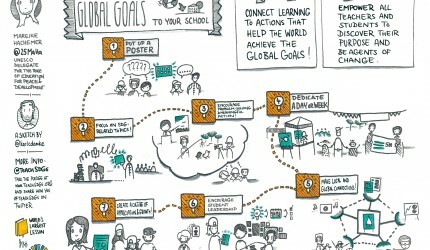 Perhaps you challenged your students to decide what they would do to help achieve the Global Goals. Did they, like students doing the Lesson with the Magic Bus in India say, that they would conserve water? Or did they have other creative ideas? What does your World’s Largest Lesson look like? We want to thank everyone who has shared their video story so far – it is truly inspiring to see how the lesson has been transformed through the creativity and dedication of teachers around the globe. In this brilliant video from the Ecuadorian ministry of education, students are asked what they took away from the World’s Largest Lesson. The resounding answer? “Sí, yo puedo ser parte de la solución”. The conviction that ‘I can be part of the solution.’ We hope that, whatever language they might speak, your students are now saying this too. If you haven’t already, do let us know @TheWorldsLesson or at The World’s Largest Lesson on Facebook.